Thank you so much to TLC Book Tours and William Morrow Books for this gorgeous free copy – all opinions are my own. In the summer of 1951, Miranda Schuyler arrives on elite, secretive Winthrop Island as a schoolgirl from the margins of high society, still reeling from the loss of her father in the Second World War. When her beautiful mother marries Hugh Fisher, whose summer house on Winthrop overlooks the famous lighthouse, Miranda’s catapulted into a heady new world of pedigrees and cocktails, status and swimming pools. Isobel Fisher, Miranda’s new stepsister—all long legs and world-weary bravado, engaged to a wealthy Island scion—is eager to draw Miranda into the arcane customs of Winthrop society. But beneath the island’s patrician surface, there are really two clans: the summer families with their steadfast ways and quiet obsessions, and the working class of Portuguese fishermen and domestic workers who earn their living on the water and in the laundries of the summer houses. Uneasy among Isobel’s privileged friends, Miranda finds herself drawn to Joseph Vargas, whose father keeps the lighthouse with his mysterious wife. In summer, Joseph helps his father in the lobster boats, but in the autumn he returns to Brown University, where he’s determined to make something of himself. Since childhood, Joseph’s enjoyed an intense, complex friendship with Isobel Fisher, and as the summer winds to its end, Miranda’s caught in a catastrophe that will shatter Winthrop’s hard-won tranquility and banish Miranda from the island for nearly two decades. Now, in the landmark summer of 1969, Miranda returns at last, as a renowned Shakespearean actress hiding a terrible heartbreak. On its surface, the Island remains the same—determined to keep the outside world from its shores, fiercely loyal to those who belong. 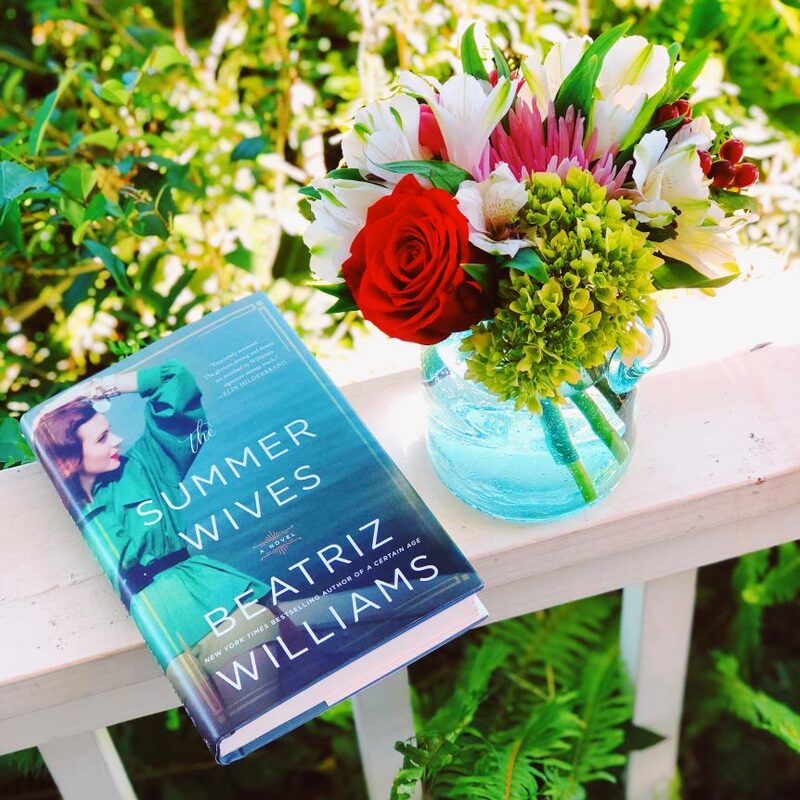 This is my second Beatriz Williams novel and it was everything I hoped it would be: a story with mystery, murder, drama, and romance, told in alternating time periods, spanning decades with two narratives that only Williams can execute so flawlessly. Miranda Schuyler arrives at Winthrop Island located in Long Island Sound in the summer of 1951. Her mother is set to marry Hugh Fisher and she is then to move in with her new family including her soon to be stepsister, Isobel. While on the island, Miranda meets and is smitten with the lighthouse keeper’s son, Joseph Vargas. Before summer’s end, tragedy strikes and Miranda leaves the island for nearly two decades before she returns. This story revolves around several characters, but every one of them does have a distinct purpose, so it’s more enjoyable not to rush it. I really enjoyed the personalities of the two narrators, Miranda Schuyler Thomas and Bianca Medeiro. Williams is a master at writing vivid, picturesque, and dreamy descriptions that make you immediately want to go wherever she writes, drinking many many cocktails with her characters. And it was interesting to see the difference between the local, hardworking residents versus the wealthy, vacationing at their summer home, seasonal residents. All of the characters were well-thought-out and basically leaped off the pages. The novel starts with an intriguing murder mystery and proceeds to take you through a compelling, thoughtful story with fantastic and interesting characters. It’s the perfect summer read!